p.s. 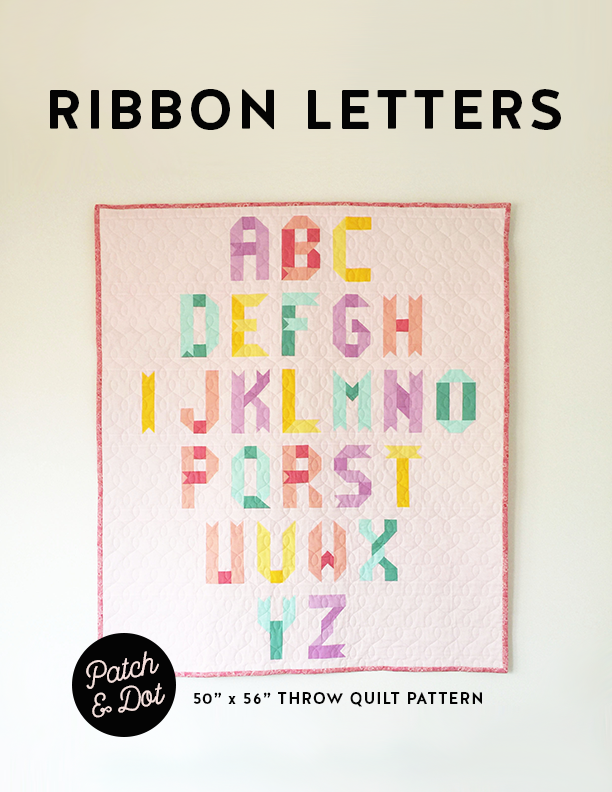 There is also a great feature on Lysa and her work in Love Patchwork & Quilting, check out Issue 70! 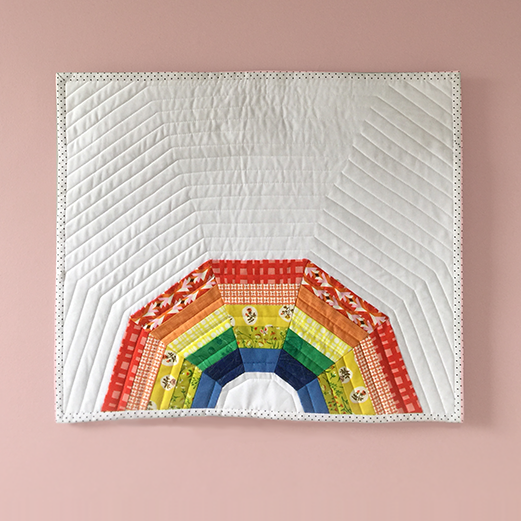 For you paper piecing fans I’ve chosen a rainbow quilt pattern with a twist, in this super sweet Rainbow & Heart pattern by Susan of Quilty Pie. 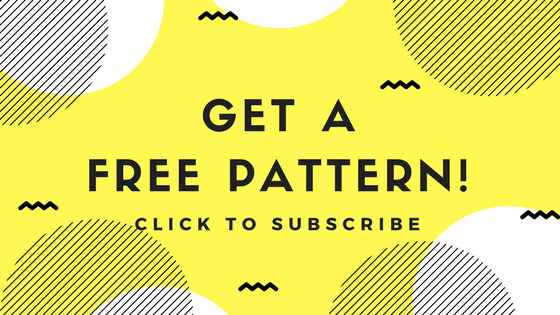 I’ve tried Susan’s patterns and in addition to being completely cute, they’re very logically and thoughtfully put together – so important in a paper piecing pattern! 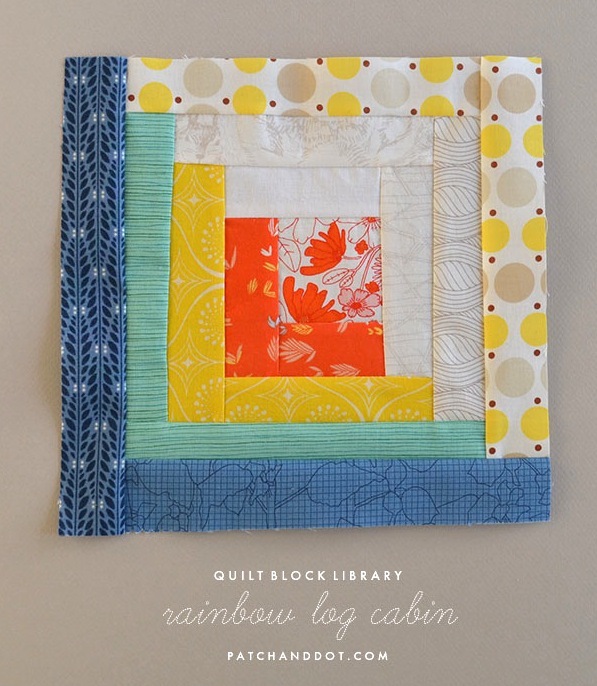 If you’re looking for something quick, easy, and scrap-friendly, my rainbow log cabin quilt block tutorial is just that, and a great project for a beginner. I love log cabins because once you get going you can sit yourself down with a pile of strips and more or less wing it. 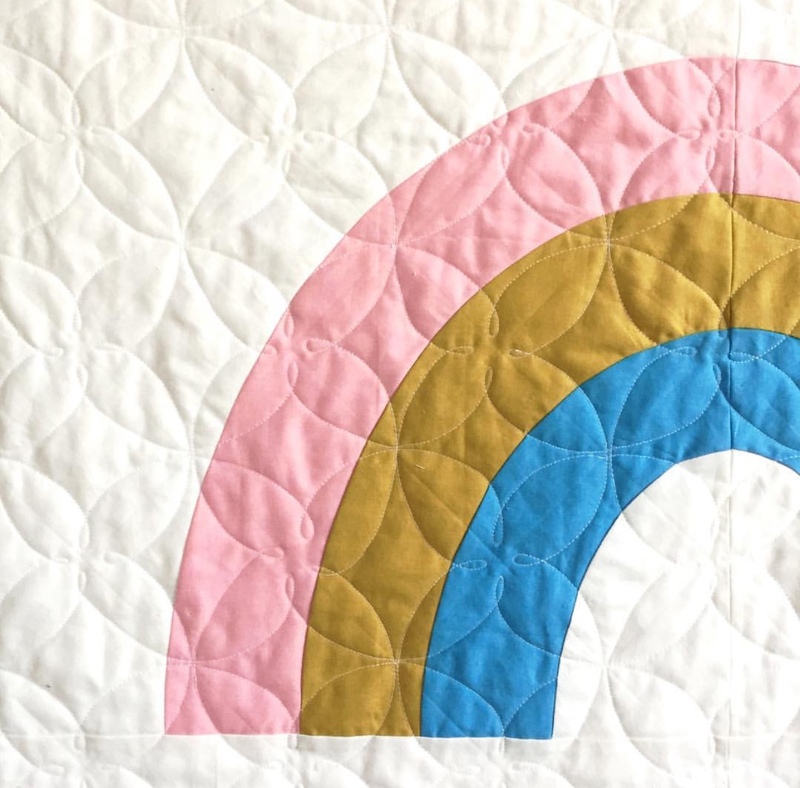 Last but not least in our collection of rainbow quilt patterns, a mini rainbow that uses a combination of traditional patchwork and applique. (It’s also free!) 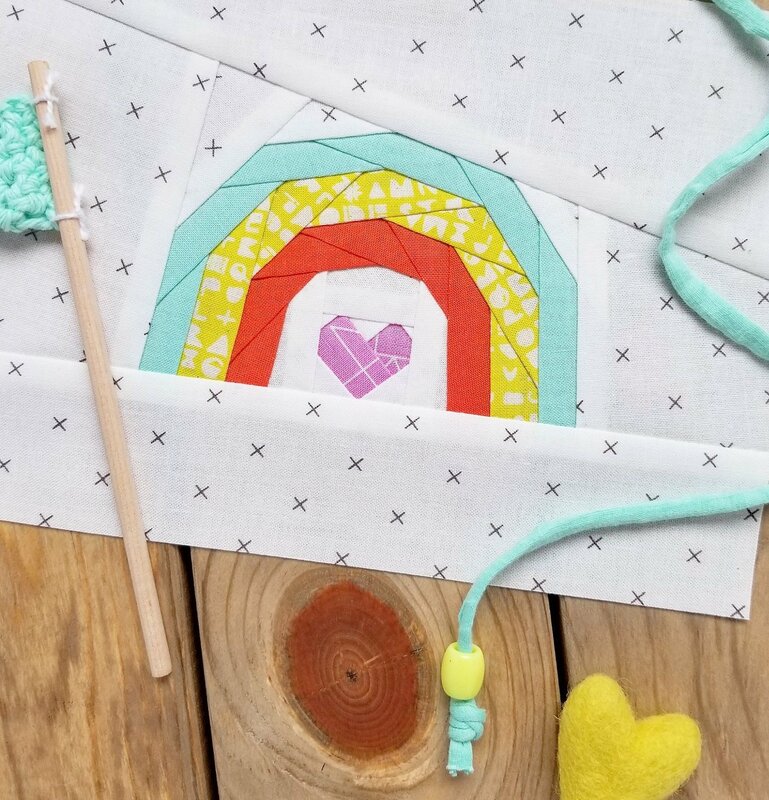 I wanted to make a wall hanging that was modern, and good for pattern mixing. 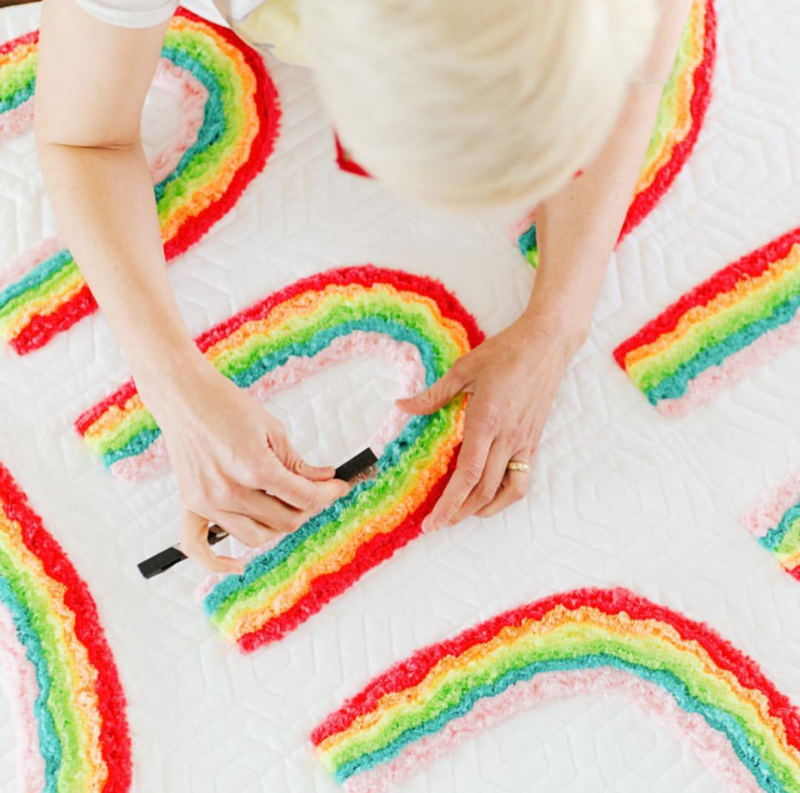 After making the bold version below I think next on my agenda is to make one in sweet pastel florals. 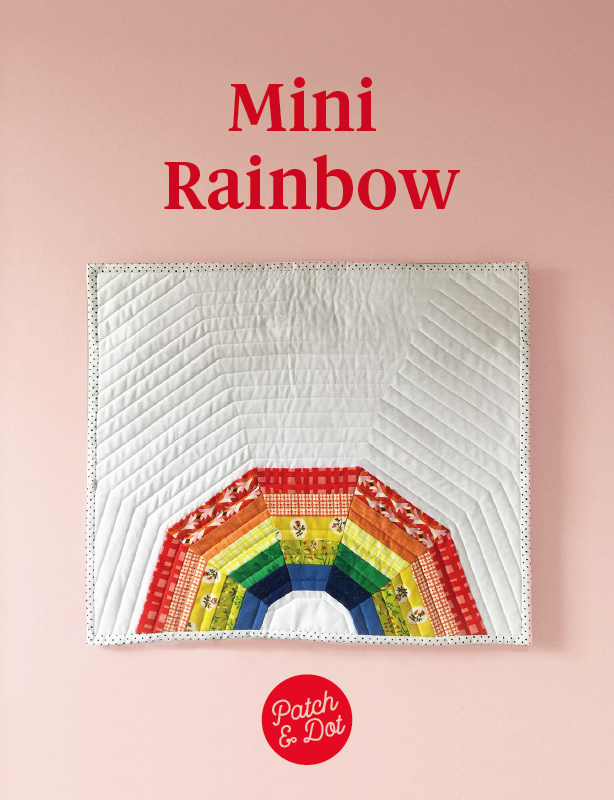 Get the mini rainbow pattern by entering your email below! 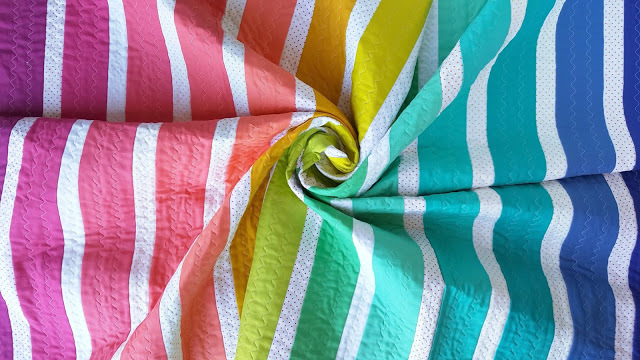 What a beautiful collection of rainbows!